The flight to Tokyo was good. Check-in was easy, the flight was on time and the seats were comfortable. 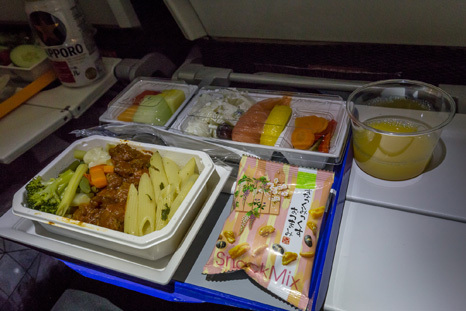 The food was good and so was the in-flight entertainment. 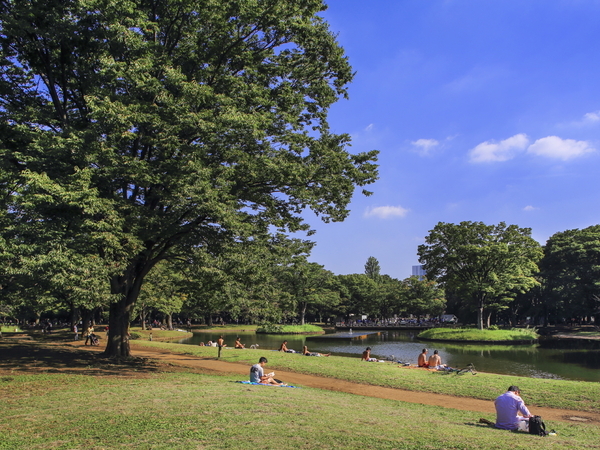 The park was full of visitors and good for strolling around in nice weather, despite cherry blossoms or roses were out of the season. This area was very interesting. 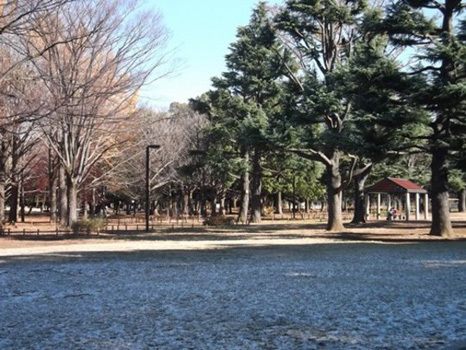 I've been to Shibuya and Yoyogi-koen before, and never knew this area existed. Touring through sweet and snack shops, hip bookstores and a Bondi Beach themed cafe, discovering this place was great. 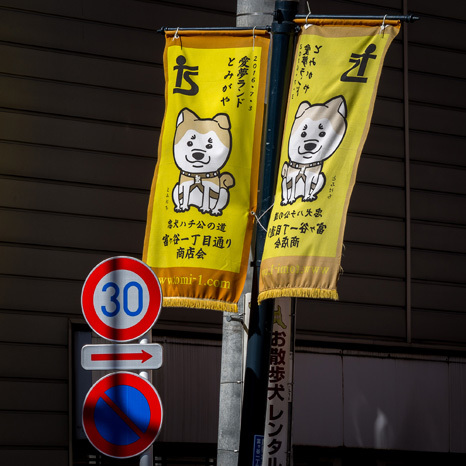 With it’s close proximity to Shibuya, Shinjuku, Harajuku and Shimokitazawa, Tomigaya is fast becoming a popular destination and is one of my favourite suburbs in Tokyo. 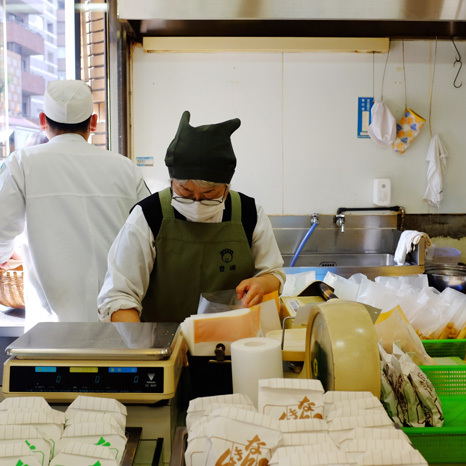 This neighbourhood is dotted with cute cafes, bakeries, bars, bookstores, supermarkets and restaurants, making it what the Japanese call ‘sumiyasui’ which roughly translates as ‘easy to live’.It’s easy to imagine how hours easily pass away when you’re busy exploring all that Tomigaya has to offer. There is such thing as chicken ramen absolutely blew me away! 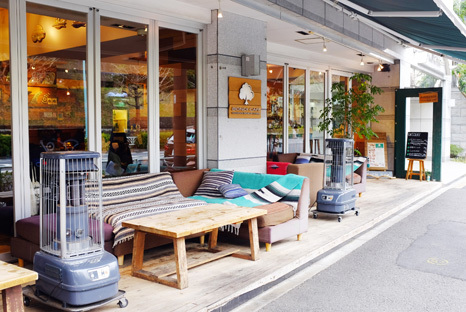 Juban Ichikoro has a modern edge and a kind of homely feel inside, well when you're sat at a table! The long bar of hungry lunch time visitors were clearly enjoying their ramen. Nestled against the back streets of Roppongi, Azabu Juban is dotted with different kinds of stores from low budget to upmarket, sweets and treats to high end fashion. 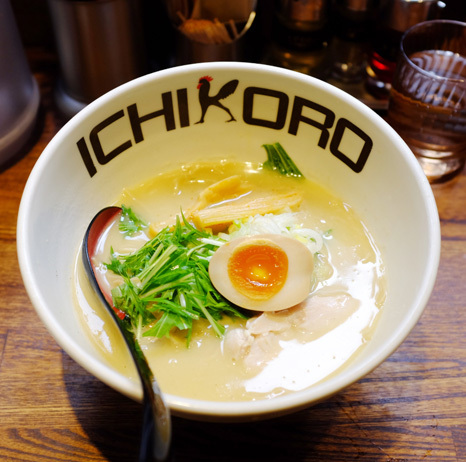 While most ramen in Tokyo is made with a pork broth, here you can experience a bowl of chicken stock ramen. 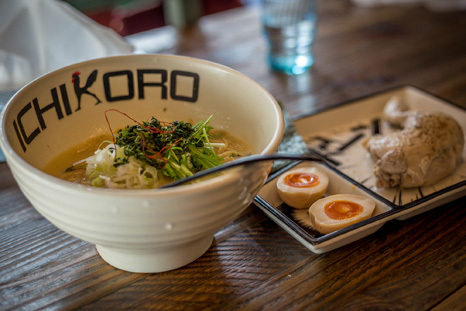 Simply purchase your ramen voucher from the ticket machine, hand it to Ichikoro’s staff, and you’re just moments away from warm, salty ramen. Part of Ichikoro’s appeal is that it’s reliable, quick and easy, and did I mention that there is an English menu, too. 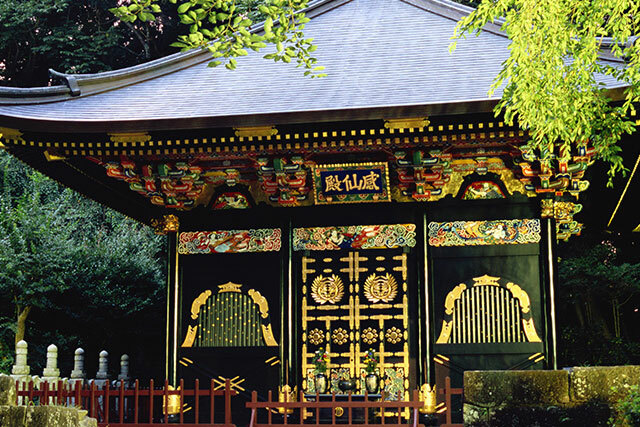 Azabu Juban is a popular area for both Japanese and expats alike. During the summer season the main street is lined with mini booth shops selling local foods and drinks. 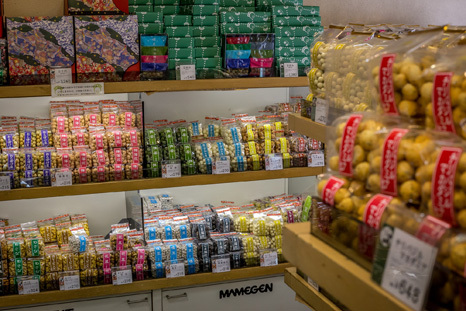 Not only can you pick up western ingredients here, but you can also find Japanese snacks such as senbei (Japanese rice crackers) or taikayi (sweet filled fish shaped cake). The exhibition was spectacular, art in many forms - experiential, painting, sculpture, video, murals and more - and the museum itself is architecturally stunning. 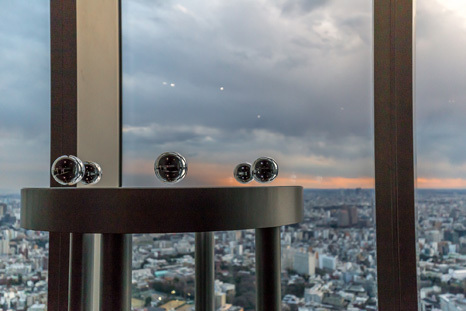 The Tokyo City View observation deck in Roppongi offers a unique perspective on Tokyo. 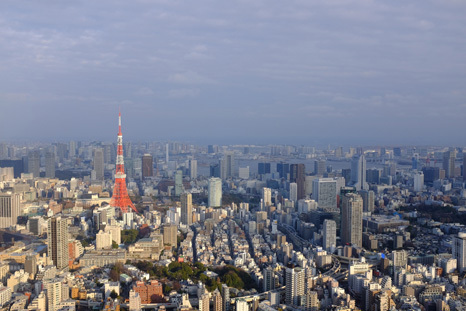 This observation deck has a stunning view of Tokyo Tower and out across the city toward Mt Fuji. Be sure to visit around sunset for the best views! 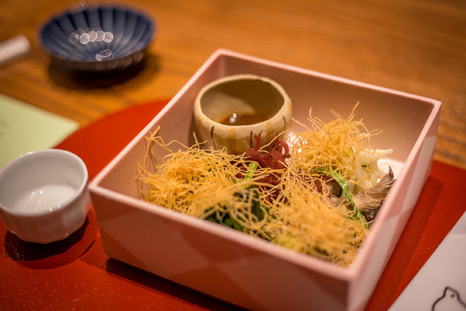 Sougu's 10 course dinner is carefully prepared and artisically served. The chef brings the food to the table and explains each dish in detail. 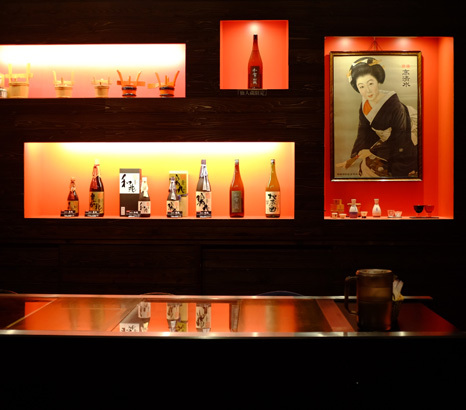 The atmosphere was serene, the food surprising both on the eye and on the palette. One of my favourite museums in Tokyo, the Mori Museum is a fantastic way to spend a few hours. 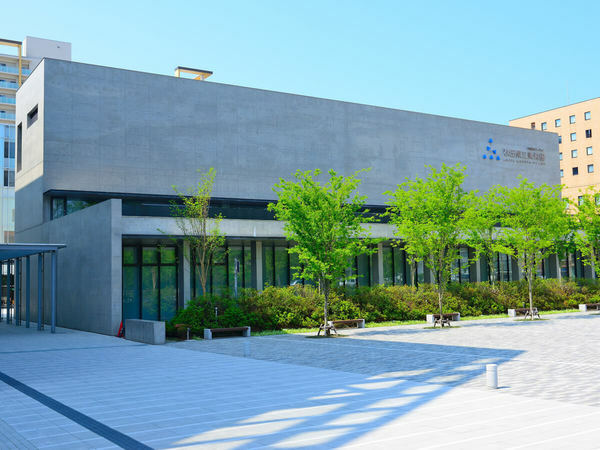 This museum showcases exhibitions by both local and international artists. 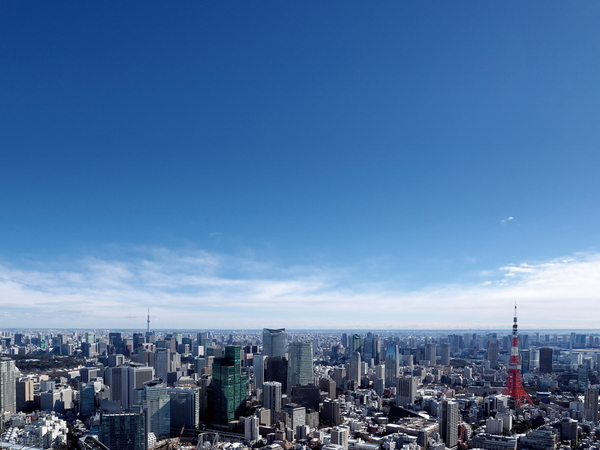 The Tokyo Sky View is one of the best places to get a glimpse of Tokyo’s skyline.The open-air sky deck is a fantastic place to get some postcard perfect photos of Tokyo city. 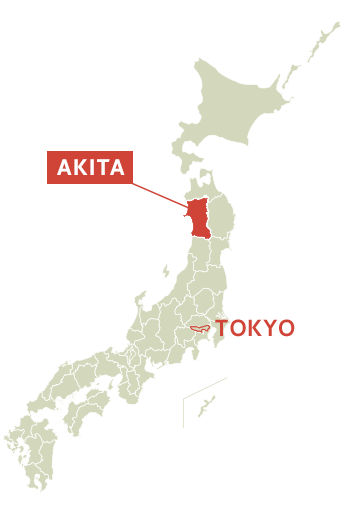 It’s one of the best ways to really grasp just how large Tokyo is. 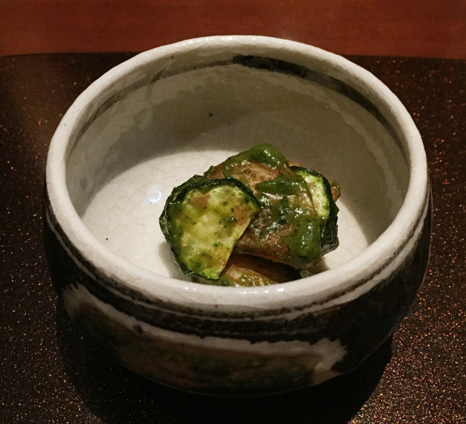 For dinner that evening we enjoyed a course meal at Sougo, a vegetarian restaurant in Azabu-Juban. Each dish was presented on some of the most beautiful Japanese ceramic dishes I have ever seen, one of which was a delicate kintsugi (the art of repairing broken ceramic with a gold foil which often makes the dish more beautiful than before it was broken) bowl. 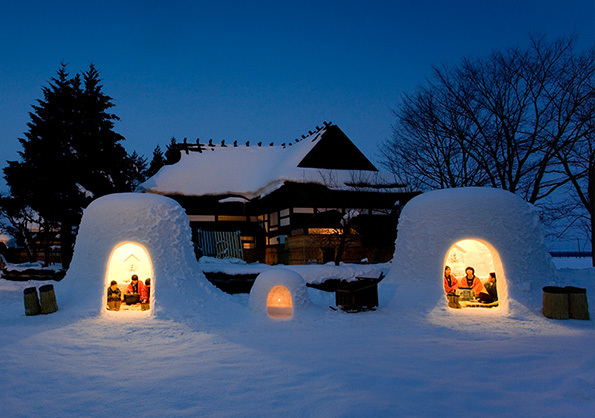 The hotel was a welcome retreat after a long day of sightseeing around Tokyo. The rooms were quiet and uniquely arrange. 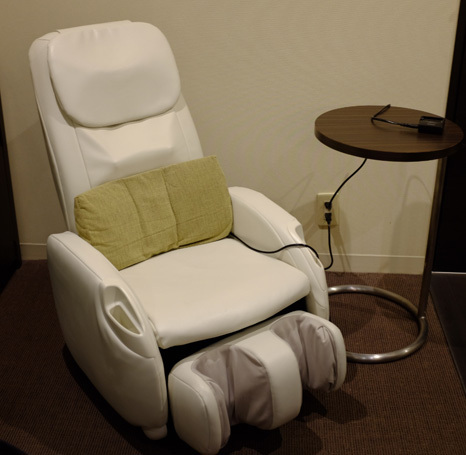 The location of the hotel is convenient to the Yamonote line and to the subway. A highlight was the side alleys around Yurakucho Station. Covered with retro posters, steaming from the kitchens, buzzing with people sitting at the tiny bars and restaurants. 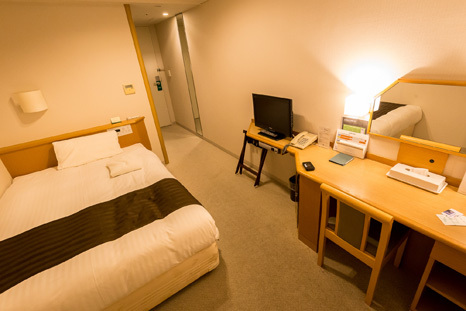 Remm hotel is a simple standard Japanese business hotel located close to Hibiya station. 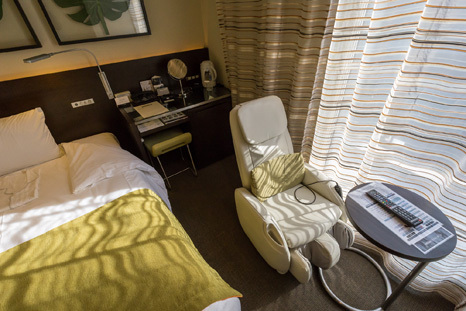 When you travel regularly in Japan and stay at these types of hotels, you are often greeted with a very similar style; a yukata robe on the bed, green tea and ume (plum) tea in the tea cups, disposable slippers and a bottle of fabric freshener spray hanging in the cupboard. The rooms are always clean, neat and simple. The transit to Haneda Airport is a breeze, using a JR train and then the maglev to the airport (which is very regular!). The flight itself seemed entirely full of business people. The flight was good. 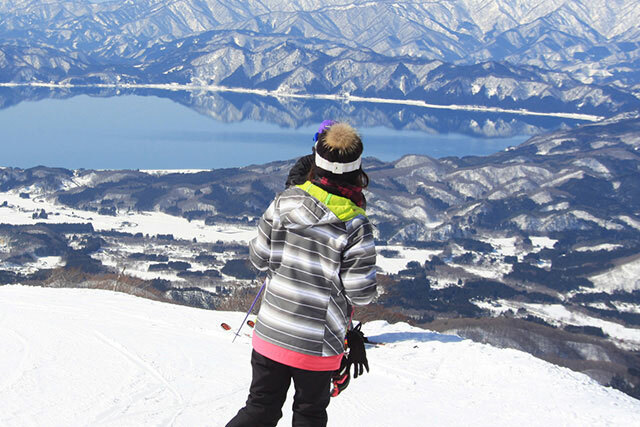 The descent into Akita airport was stunning, mountains covered with pines and snow. 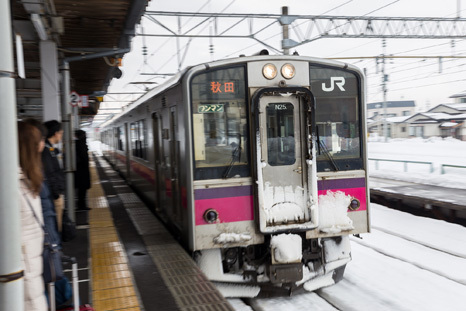 It’s a quick and easy journey by train and monorail from Remm hotel to Haneda domestic terminal. And with the trains running like clockwork, you can safely arrive at the airport without any concerns or hassle. Our morning ANA flight from Tokyo to Akita was on a Boeing 747. It's rather luxurious to travel domestically on a jumbo. The flight was quite empty leaving passengers with a lot of space to relax comfortably during the short 1 hour flight. 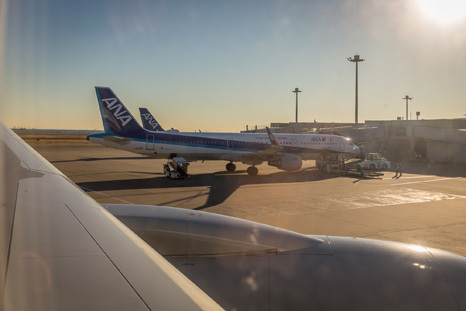 There are no in-flight meals between Akita and Tokyo so be sure to pick up a soraben (sky bento) from the airport before boarding. 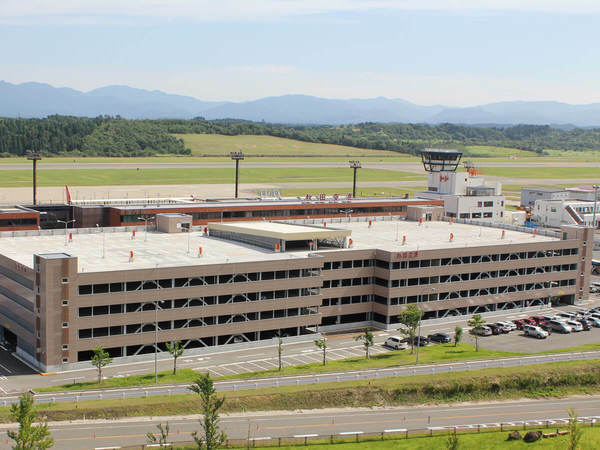 Akita Airport is a “municipal park” type airport located about 25 kilometers southeast of the Akita city center. 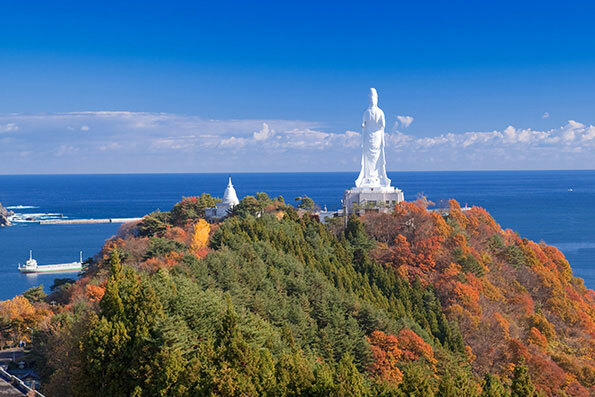 The Akita Airport Liner taxi van (also possible for single-person rides) provides service to sightseeing areas. The Akita Airport Souvenir Plaza Gift Shop (Omiyage Hiroba) offers a pleasant subdued atmosphere for souvenir shopping with a sense of Akita cedar. 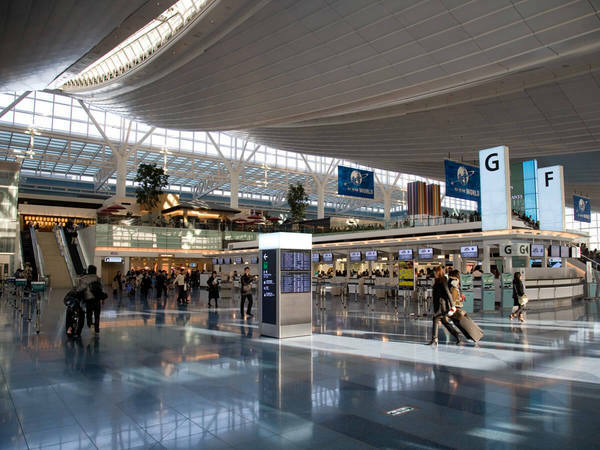 Its rich selection of goods includes items sold only at the airport, as well as freshly gathered seasonal foods and saké from local breweries. 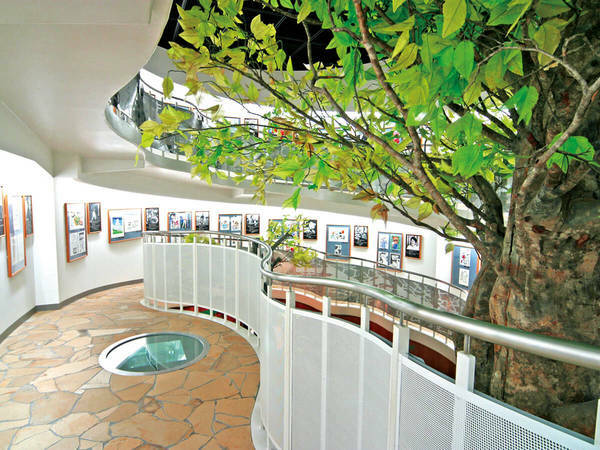 Japan's first manga-themed museum centered around the works of Takao Yaguchi, a Yokote City native, who was famous for multiple titles, including Tsurikichi Sanpei. 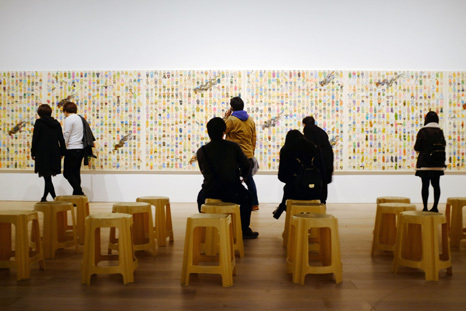 The museum introduces the original drawings, works, and animations of 100 famous artists from inside and outside Japan. 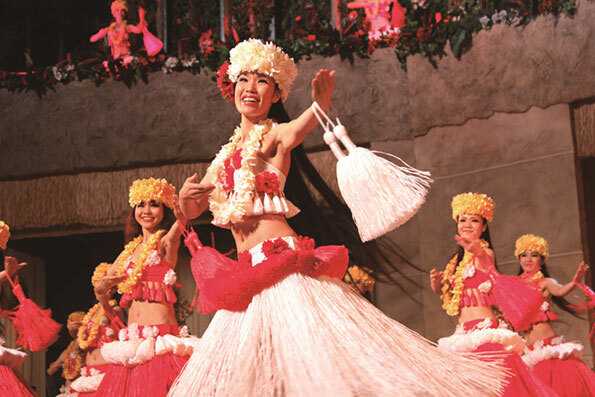 Special exhibitions are held multiple times a year (paid), attracting many fans from Japan and abroad. The cold and snow only heightened the experience. 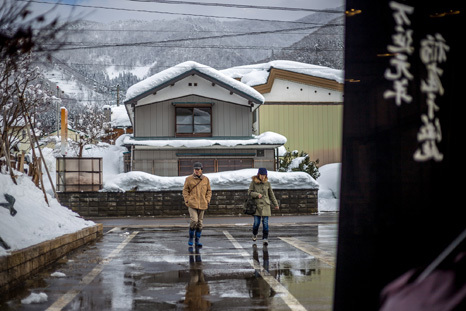 We stepped inside rustic storehouse, antique stores and a small sake brewery. 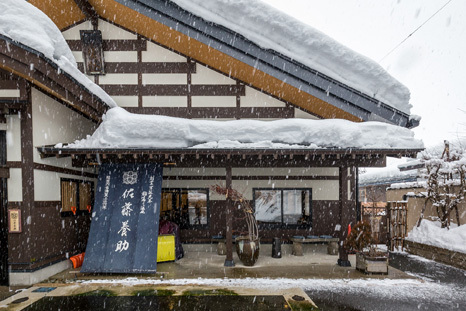 The old style Japanese buildings topped with snow were stunning. Our first destination after the airport. After a friendly welcome to the udon factory, we were given a tour. The tour was very informative, as the workers were present, going about their duties. After the tour, I had the excellent experience of making udon myself! Then we proceeded to the udon factory's own udon restaurant, and had a delicious udon with tempura, while watching the snow fall outside. 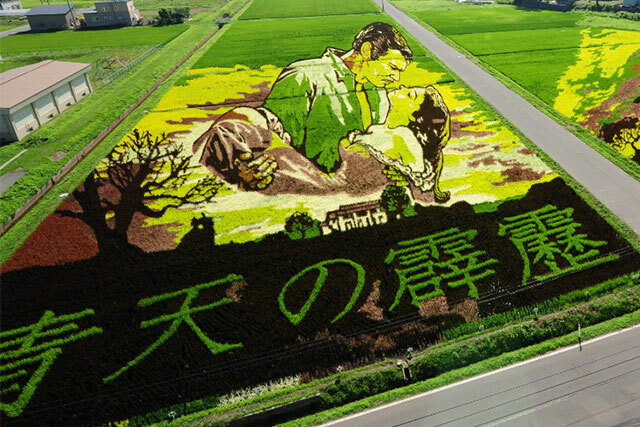 It recently became famous as “Village with stories”. The built-in typed stories was a top highlight. The inside of built-in type stories which is invisible from outside was impressive. 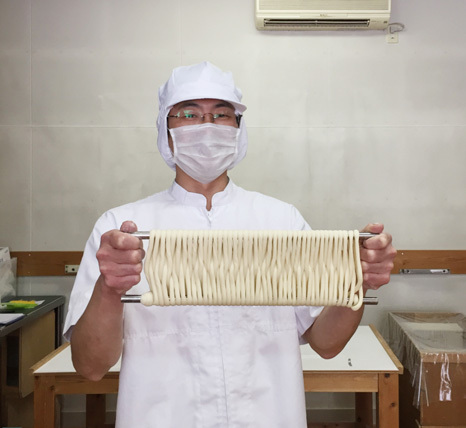 Upon arrival in Akita we were whisked off to a tour of Sato Yosuke’s udon making factory. Here we participated in a short, hands-on lesson about how to make our own udon. 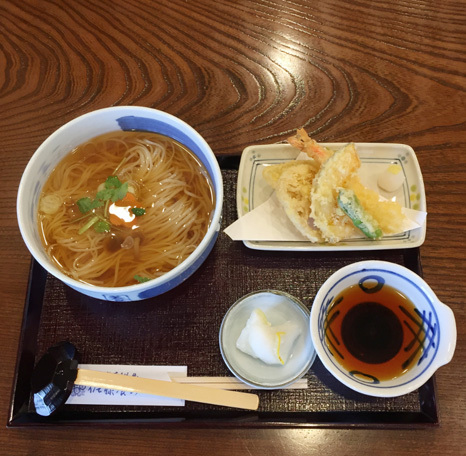 We enjoyed tempura inaniwa udon at Sato Yosuke’s main branch. 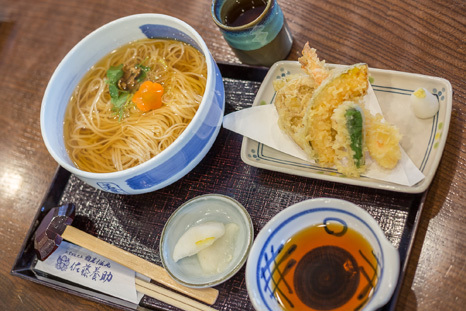 The delicious thin udon with soy sauce taste broth topped with delicate mitsuba was the perfect way to warm up after the gorgeous, but brisk Akita snow. 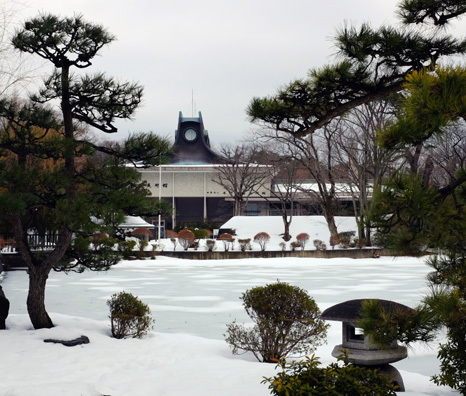 After lunch, as snowflakes fell softly, we took a stroll around the beautiful neighbourhood of Masuda, popping into the historical uchikura for a visit. 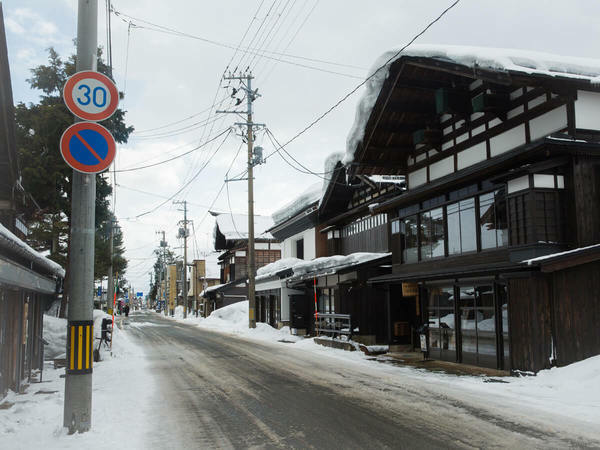 It’s easy to grasp a sense of history through the traditional architecture in Masuda, although I was particularly drawn to the Showa period buildings with their faded signs and retro qualities. The Masuda Manga museum not only a fantastic spot to soak up some manga, but also a brilliant place to feel as though you have stepped back in time to an 80s amusement park. 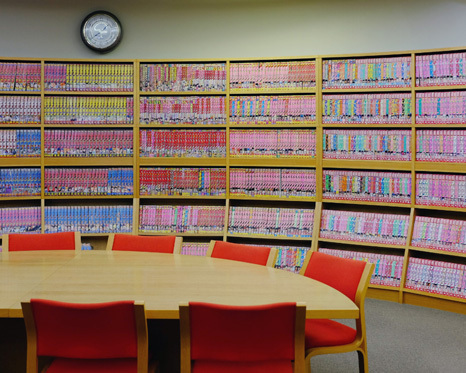 The bright red and pale blue upholstery was a perfect backdrop to the Akira manga. 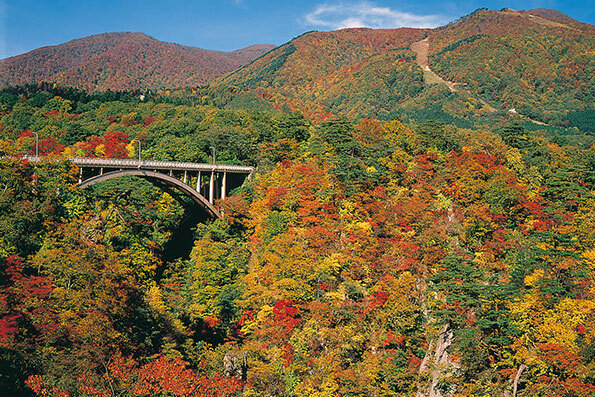 The town of Masuda is positioned at the confluence of the Narusegawa and Minasegawa rivers. 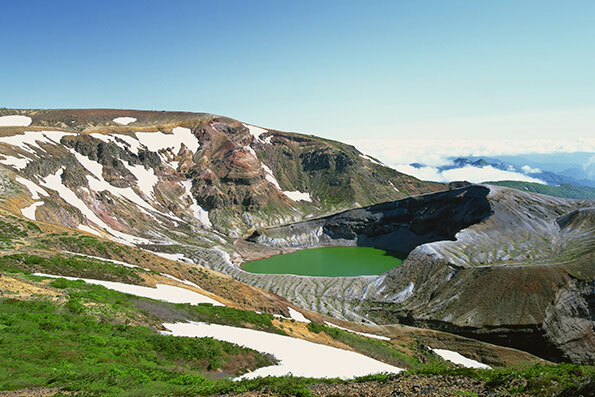 Since ancient times, it has developed as a key logistics hub. 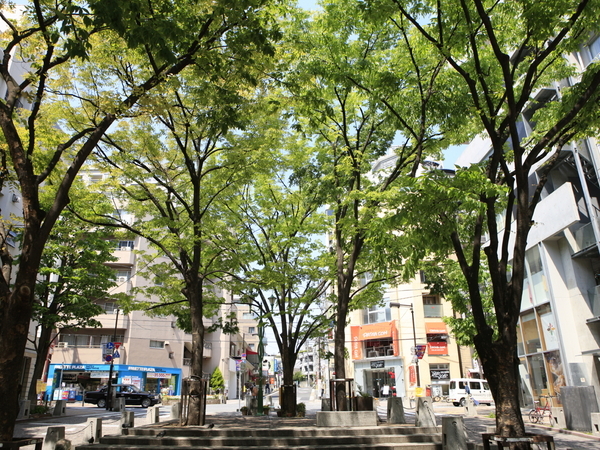 Nakananokamachi-dori street in the town of Masuda once flourished due to the silkworm, tobacco, and mining industries in particular. On this street, princely interiors have been preserved inside narrow, but extremely long main buildings. In December 2013, this area was designated by the government as an Important Preservation District for Groups of Traditional Buildings. 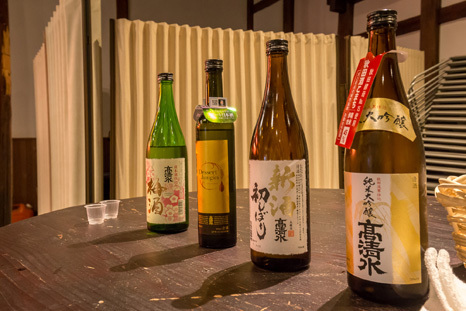 There are also sake breweries with over 300 years of business on the street. 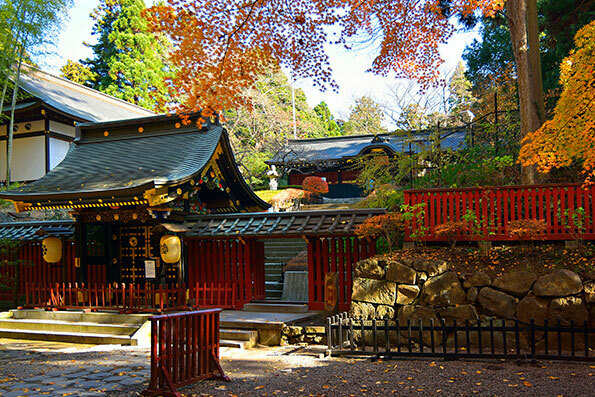 Kamakura were originally built as places to give offerings to a water deity enshrined in the front and to pray for family safety, commercial success, and a bountiful harvest. 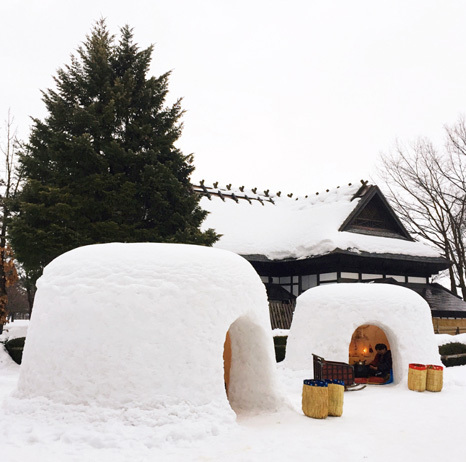 Every year on February 15 and 16, during the time of the Lunar New Year, about 100 kamakura are built throughout Yokote City. 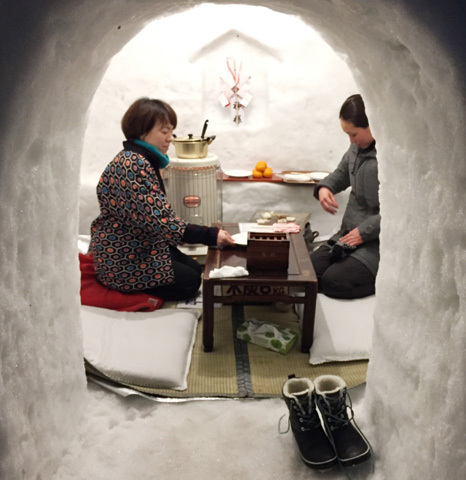 During this time, children treat with amazake drinks and mochi rice cakes while saying, "Come into the kamakura." 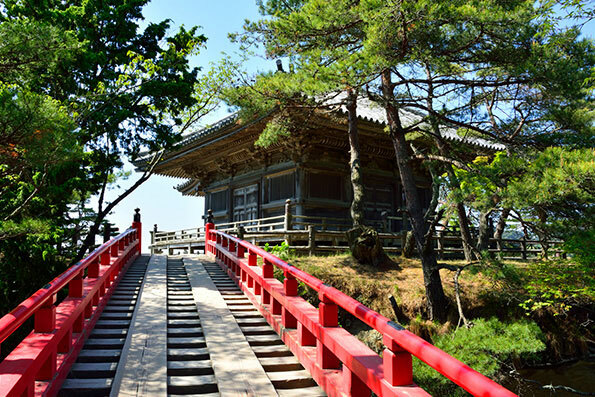 A quaint introduction to kamakura, less populated with tourist with better access to the kamakura themselves. 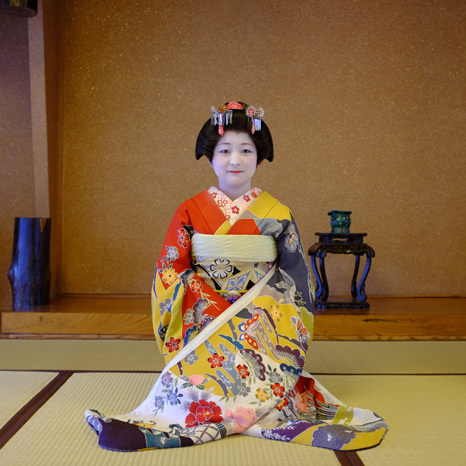 On display were traditional dress and the tradition of welcoming guests into a kamakura. We then stepped into a traditional old house and sitting around a fireplace, enjoyed some warm tea and snacks. 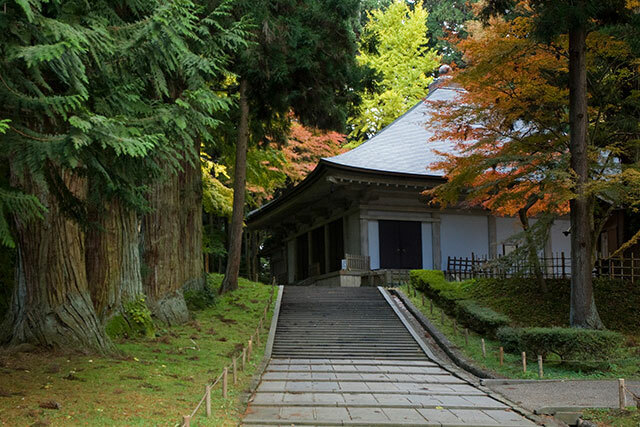 Before leaving I explored the grounds of this park, including an old shrine with connections to Kyoto's famous Fushimi Inari Taisha. 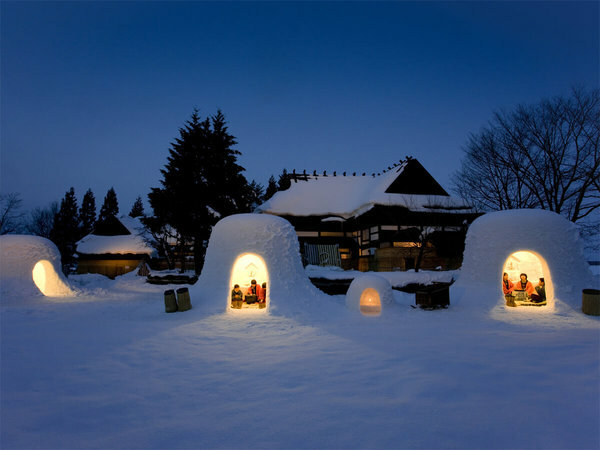 My favourite part of exploring Akita was a visit to Minkaen Kido Gorobei village where there was a display of kamakura. 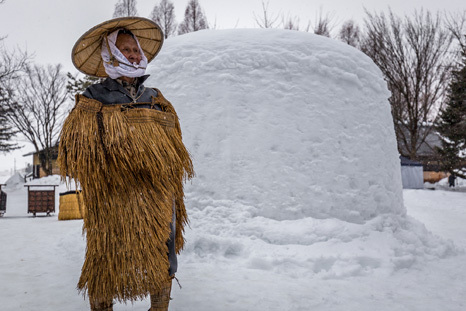 The kamakura were set up on display with rugs, cushions, cooking utensils and hanging decorations tucked deep into the igloo so that visitors were able to enjoy sitting inside the kamakura. 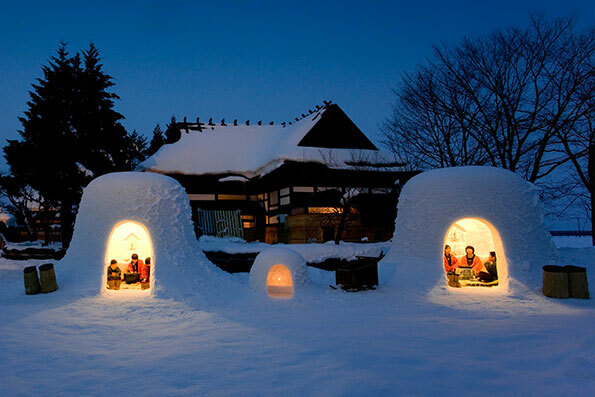 At 5pm the kamakura are illuminated with lights making for a photo hotspot. We headed into one of the beautiful traditional buildings in the village and warmed up by the in-floor fire built into the tatami flooring. The hotel was nice and quiet, and included an onsen. 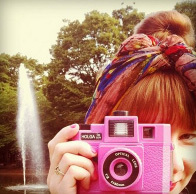 It was convenient to the festival. As the sun set the kamakura came alive with lights, candles and people. Dotted around the town, this was the standout from a day of seeing some less touristy areas of Akita. A shuttle bus took us to Yokote Castle, a stunning night scene, with tiny kamakura in the foreground and the castle lit up in the background. When you’re finally inside and warm after a long day in the snow you rarely want to go back out into the cold. 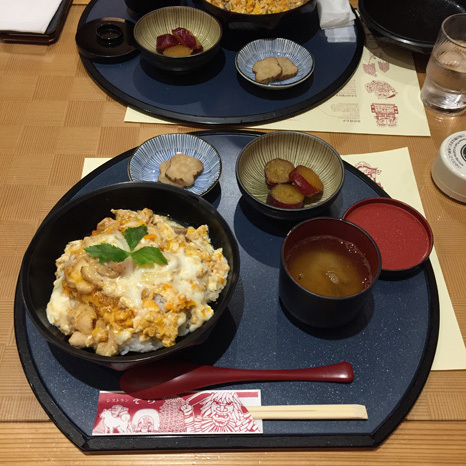 That’s why it was so fantastic to be able to enjoy a delicious Japanese meal in the comfort of the hotel. We sat on tatami and feasted on sashimi, pickles, tempura and a local Akita delicacy, kiritanpo (a nabe containing rice that has been cooked around skewers over an open stove). 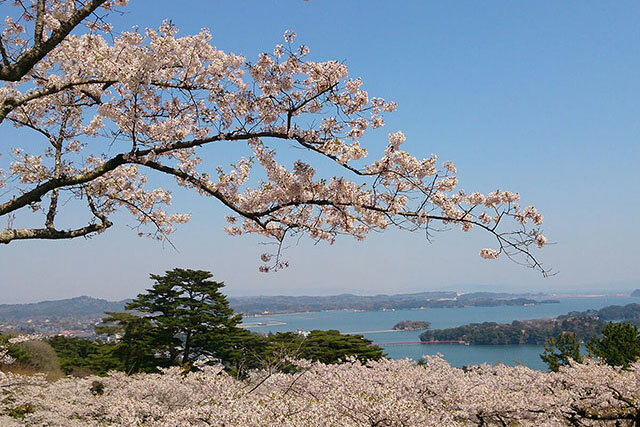 Within just a short walk from our hotel we were able to visit the Yokote Kamakura Festival. 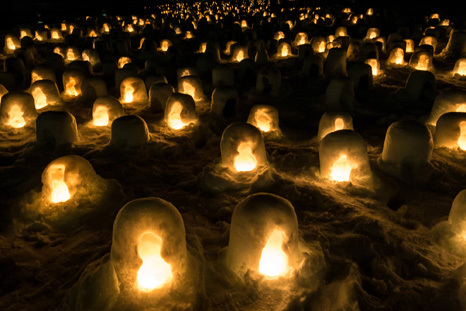 This fun festival showcased various snow sculptures and carvings, light displays and an array of kamakura. 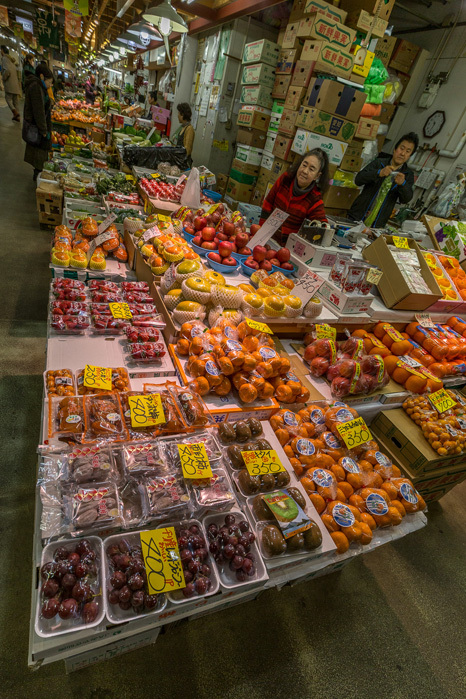 As with most Japanese festivals, there was a vibrant night market selling Japanese snacks and drinks. We kept warm by cradling a cup of hot sake and explored the festival at night. 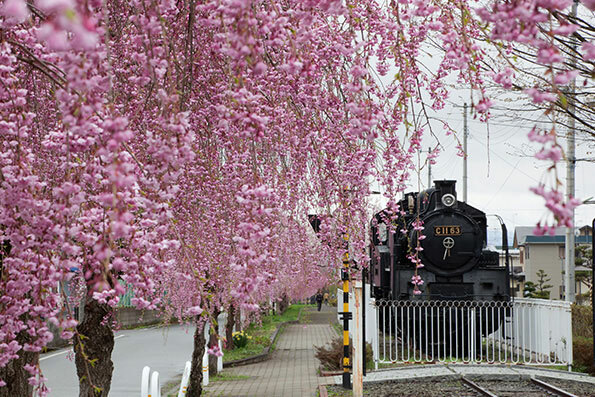 Leaving in the morning, we hauled our suitcases onto a peak hour train headed for Akita City. Luckily peak hour from this small town is not too busy. 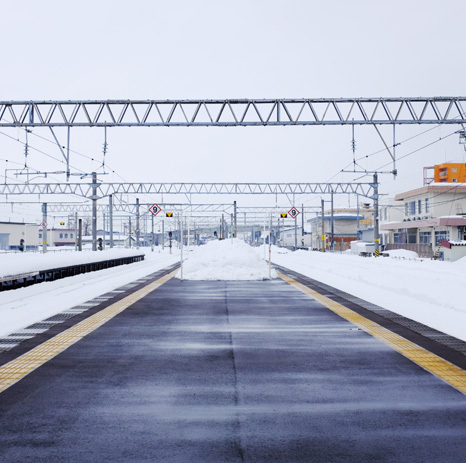 The 1 hour journey from Yokote to Akita station in winter is picturesque with the landscape covered in snow. 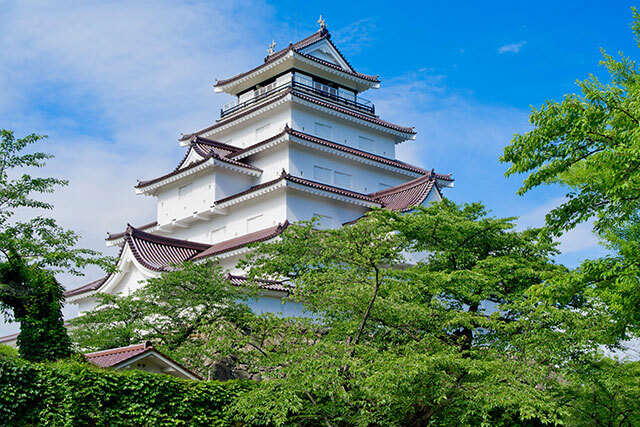 Akita Museum of Art was designed by a leading Japanese architect, Tadao Ando. 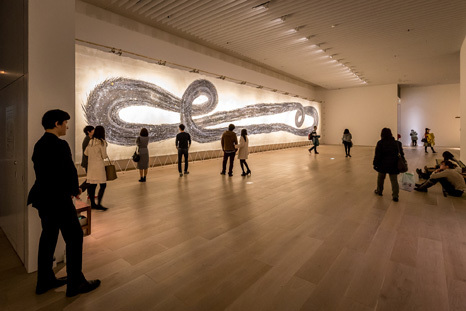 The museum features works by world-renowned artist painter Tsuguharu Foujita, as well as planned and special exhibitions of various artists. A work of particular note is the large painting "The Events of Akita" that Tsuguharu Foujita painted while covering Akita. The market was a tad tired looking, but very authentic, full of colourful local wares, fruit, vegetables and seafood. An angular architectural example of beauty in simplicity, the building exterior and entrance was full of clean lines and curves. Inside an exhibition by local university students showed the genius and creativity of the next generation of artists from the region. 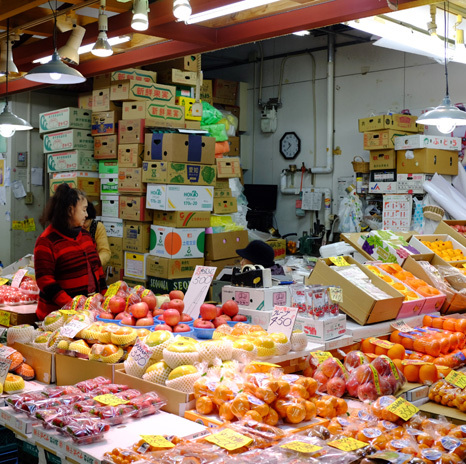 Resembling a scene from Hong Kong, the bustling Akita city market is a great place to pick up vegetables, meats, fish, kitchenware and fresh flowers. On display in the museum is a painting by Fujita Tsuguharu which illustrates Akita life during the four seasons. This extremely large work was not damaged in the war, and is the focal point of the museum’s collection. 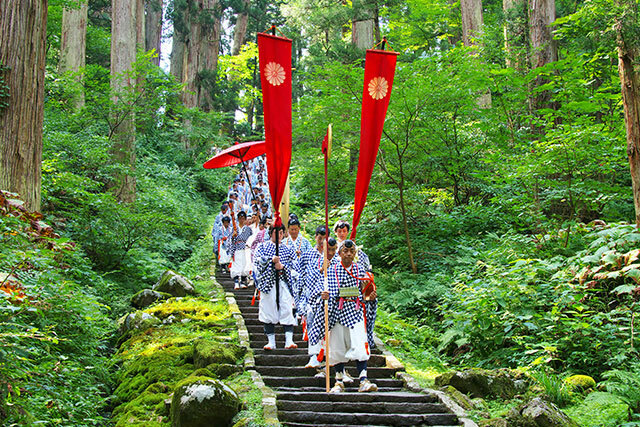 The Kanto Festival is a unique custom practiced in Akita, and is a festival that is representative of Japan. 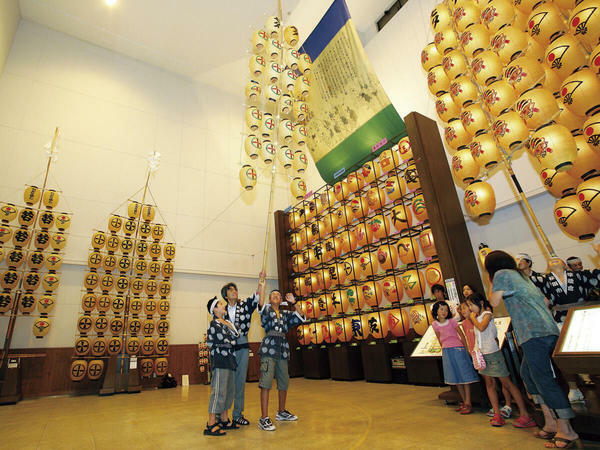 A variety of information about folk events in addition to the Kanto Matsuri are also on display. 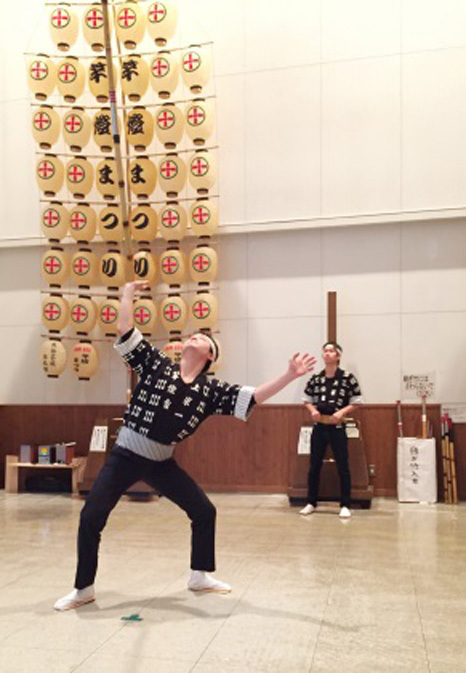 There is also a "challenge corner" where visitors can try out the Kanto performance. The festive atmosphere of the center can be experienced all year round. In Akita, the Kanto festival is a skillful display of local neighbourhood teams balancing a huge array of lanters hanging on bamboo poles. At the hall, locals showed us their skill, balancing these weighty poles on their hands, hips and heads! 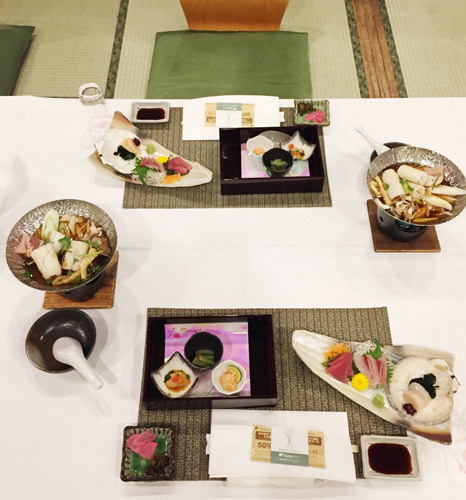 Stepping into a huge room, lined with tatami mats and a few simply arranged low tables, we settled in for a delicious bento. After a while, a guide from the facility joined us and explained the history of this building.The guide then informed us that we would be entertained by two maiko. 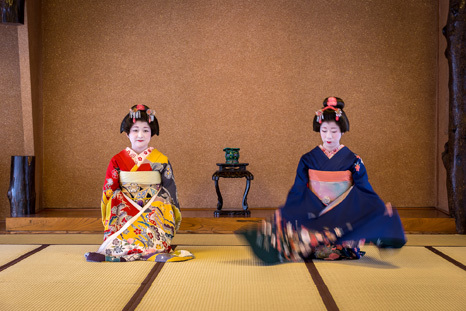 The maiko, dressed in stunning kimono, with elaborate make-up and hair, gracefully danced and sang to us. 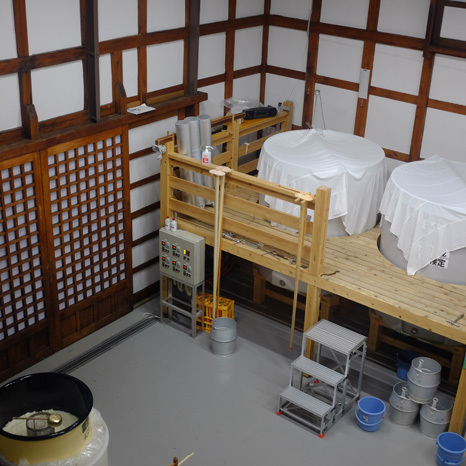 Takashimizu Sake Brewery, Kura tour: Touring the large facility, we saw the nihonshu at all stages of brewery, and got to taste premature sake straight from the factory. We finished off with a tasting of all of the brewery's nihonshu, it was so good that we all bought a bottle as a souvenir! Next, we enjoyed a special kanto lantern balancing performance at Neburinagashi hall. 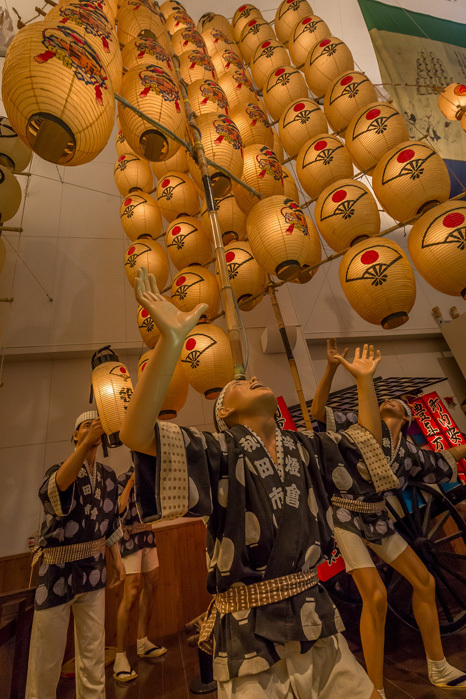 Trained performers of the kanto lanterns displayed the impressive art of balancing these lanterns on one long stick on not only their hands, but in their belts and even on their foreheads. 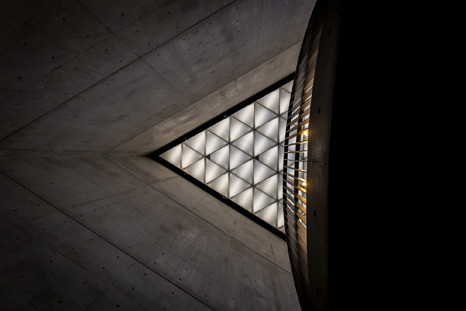 The building featured traditional craftsmanship such as ceiling beams made from one piece of timber, a craft that is almost non-existent in the work of today’s architects. The windows were handmade retro patterned glass. More factory in feeling, Takashimizu brewery was formed when many of the local sake breweries joined together to form one. The flavor of the local water plays a large part in sake brewing, and it was interesting to begin our factory tour with a glass of local water.We peered into 5meter tall vats bubbling with sake in the making and were treated to perhaps the freshest sake one will ever try as our guide scooped us a taste of sake directly from the sake tank. The taste was clean and pure, and appreciated more than I have ever done so before. We had dinner at the airport, it was decent for airport. 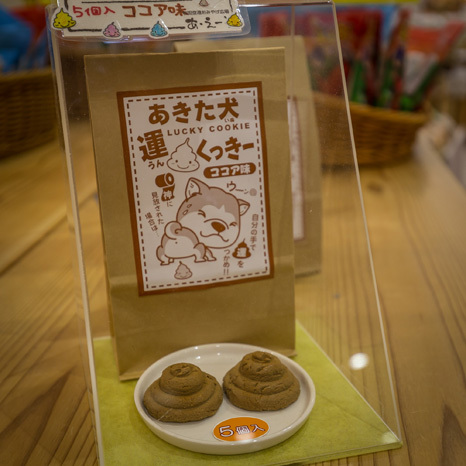 I enjoyed slowly walking around the airport and seeing the local souvenirs, such as the Akita Dog Cookie! Akita airport has a homely and local feel to it. It’s the kind of airport you can feel nostalgic about due to it’s charming, country town like atmosphere. 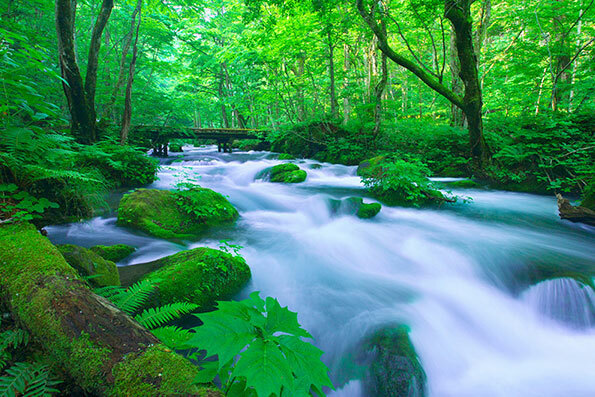 The tour was exciting, and I got to discover new "hidden" places in Japan. 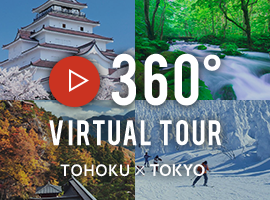 I learnt so much that can help others visit these less well known locations in Japan. 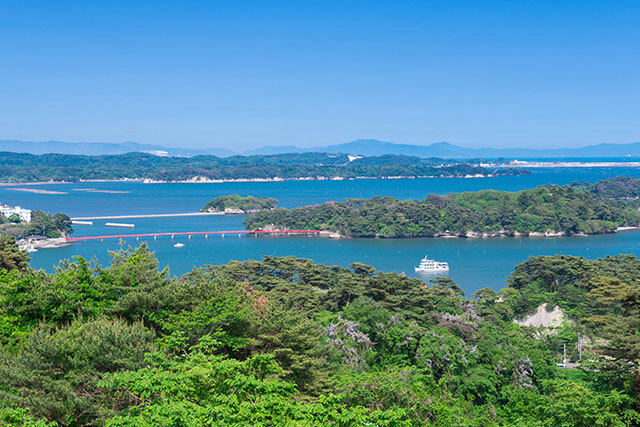 With Akita just a one hour flight away from Tokyo, it's a perfect mini-trip for those seeking unique and traditional Japanese culture. 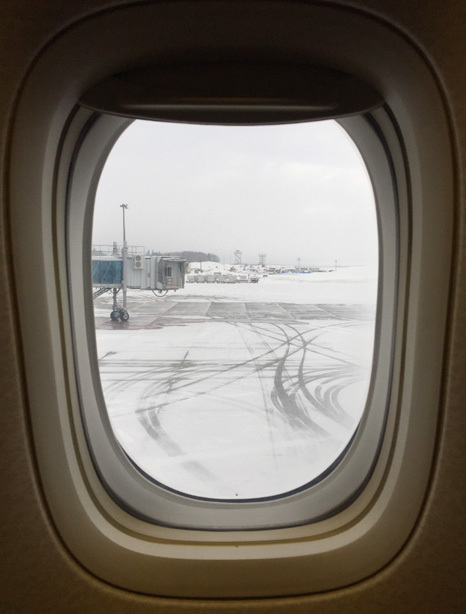 From looking out over bustling Tokyo from the Mori Museum sky view, to being served hot sake in a timber house in the middle of a snow covered village, it’s amazing what a short one hour flight from Tokyo can offer.